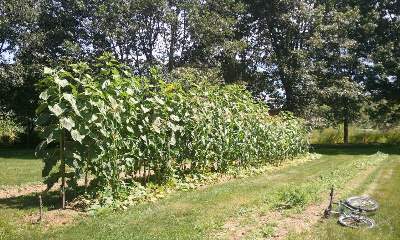 Native Americans discovered centuries ago, the tremendous benefits of planting certain together. It became known as 3 Sisters which benefited the plants and the soil, creating a symbiotic relationship. They realized that this method led to healthier plants, soil and ultimately, bigger and better crops. This week we will talk about this technique and all about companion planting on #plantchat! BONUS GIVEAWAY: During the live chat, the most active participant will win a set of Corona ComfortGEL garden hand tools! Tune into the live chat for details! Join @CoronaTools and #plantchat co-partner, Aaron Kinsman, of Rodale Institute @RodaleInstitute for this week's topic, Benefits of Companion Planting. 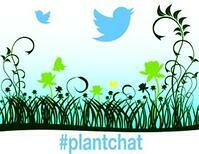 The live chat begins Monday, June 16, 2014 at 11 a.m. PST / 2 p.m. EST, were we come together with green industry experts and fellow horticultural tweeps each week to discuss all things related to plants and horticulture, since 2014. 3 Sisters Method - Hear how the method was used by early Native Americans and why this practice is still being used today in organic gardens. Benefits of Companion Planting - Explore the tremendous benefits that happen when paring certain plants together. Plant Selection - Discover what plants make great companions, yield bigger and better crops, prevent insect damage, and improve the soil. Importance of Companion Planting - Understand what makes companion planting so important for organic gardening. Tips and Resources - Get the latest tips and information from the Rodale Institute for achieve growing success in the time honored tradition of companion planting.